Oil on panel, 11 3/16 x 17 7/8 in. (28.5 x 45.3 cm), framed. Condition: Warping to panel, retouch, stable hairline crack to surface c.r., fine craquelure. Panel covered with burlap or similar on the reverse. A row of tack holes along bottom edge of the reverse, and one u.l. also on the reverse, which do not affect the front. 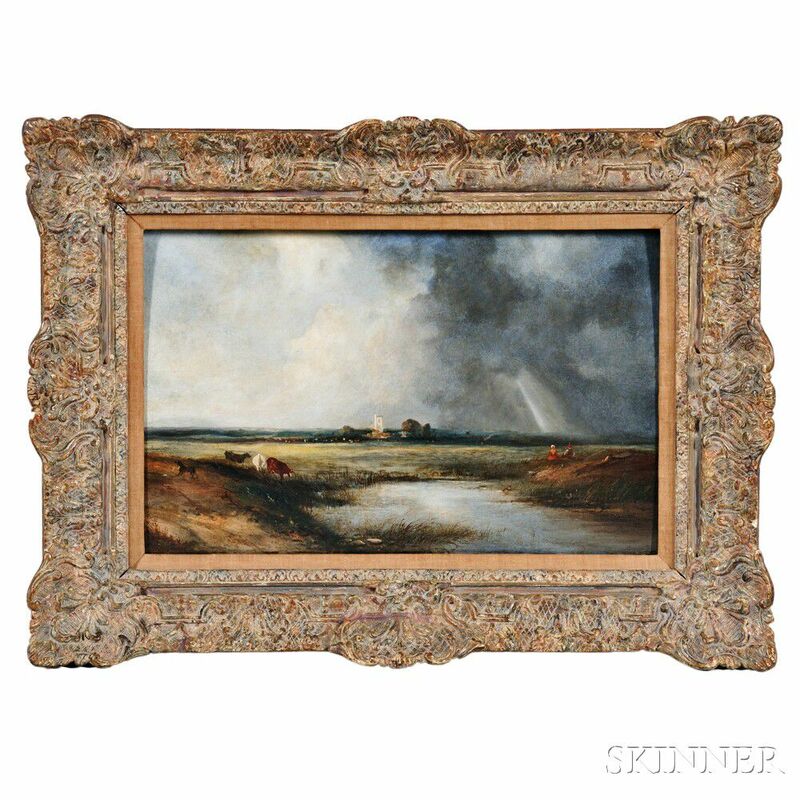 A note inscribed on the back of the frame indicates that this work was conserved at the Worcester Art Museum in 1988.